This Poison model has a gray titanium handle with blue anodized Ti hardware and a two-tone bead blasted/satin finished blade. 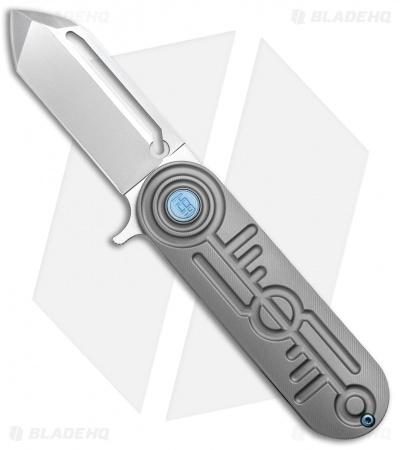 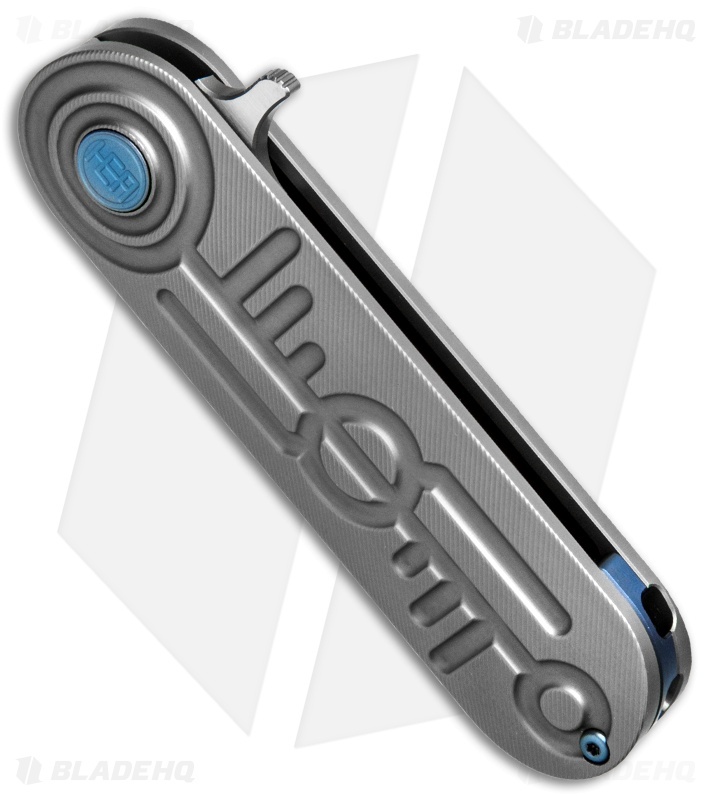 The HEAdesigns Poison is a compact flipper knife with a futuristic design. Modeled after the Sabertooth Comb, it sports a rounded titanium handle with a grip-enhancing, non-abrasive texture. The Poison is equipped with a CPM-S35VN steel blade that boasts four grinds on each side and a flipper tab for quick one-handed deployment. Details abound on this folder, including a hidden lanyard hole and blind screw titanium pocket clip. 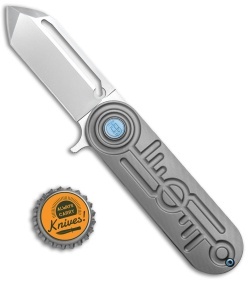 Aircraft grade 6Al4V titanium handle with nested steel lock insert and over travel stop provide durable long-term performance. Premium S35VN steel blade with an impressive four grinds per side and a distinct saber-groove. 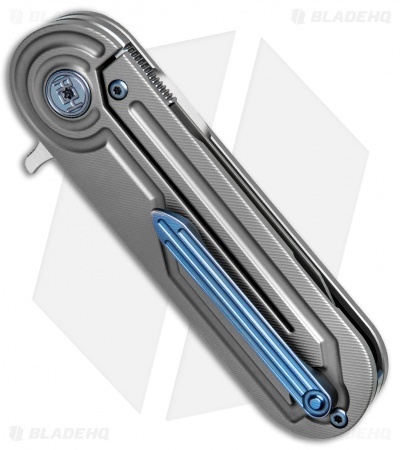 Ceramic bearings and detent offer silky smooth deployment with an integral blade flipper. Handle scalloping provides an ultra-lightweight design without affecting handle integrity.